Nikko lies nestled in the mountains of western Tochigi Prefecture. Founded in the 8th century by the Buddhist priest Shodo, it enshrines the glories of the Edo Period and showcases the immense wealth and power of the Tokugawa shogunate. Nikko means ‘sunlight’ in Japanese. This gateway to Nikko National Park welcomes visitors with an interesting melange of Japanese culture and immense mountainside beauty. 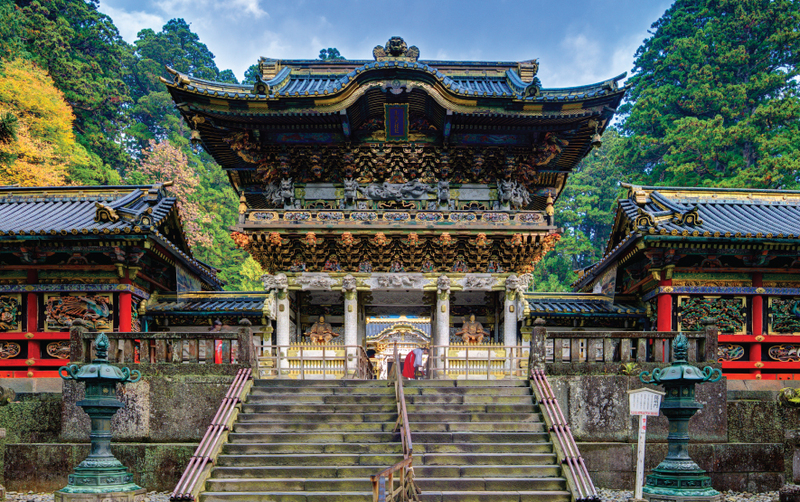 Nikko is famous for its Shinto shrines and Buddhist temples. 9 of these are hailed as National Treasures and 94 are Important Cultural Properties. All these shrines and temples are together classified as a World Heritage Site. The Tosho-gu Shrine is splendidly decorated, and enshrines the famous shogun Tokugawa Ieyasu. While it was originally a simple structure, Ieyasu’s grandson reconstructed it, bestowing it with lavishness. Walk through the beautiful ‘Sunset Gate’, Yomei-mon. Another surprise element is the earth-quake resistant feature that hangs internally from the fourth floor of its 5-storey pagoda. The Rinno-ji Temple is Nikko’s most important temple. Founded by Shodo Shonin who brought Buddhism to Nikko in the 8th century, it houses impressive statues of Amida, Senju-Kannon and Bato-Kannon. The temple’s treasure house presents Buddhist and Tokugawa exhibits. A small garden next to this is a popular koyo spot in early November, with maple trees that frame a small pond. 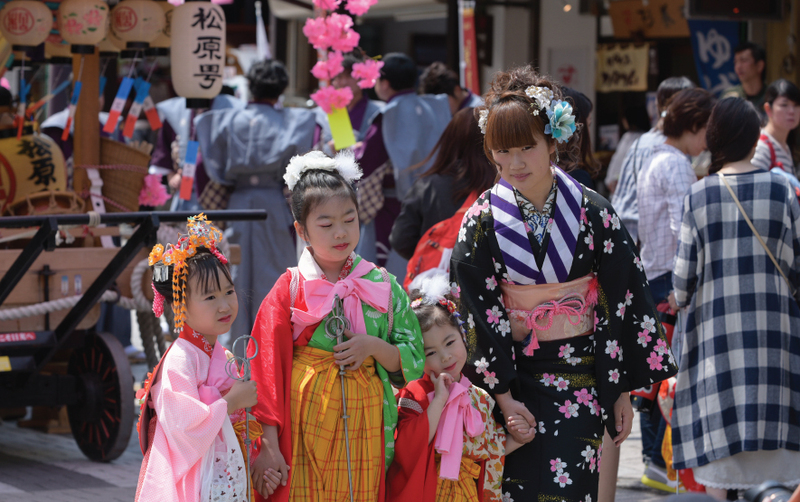 The Yayoi Festival is a traditional festival that dates as far back as the founding of the town itself. Ancient customs are observed during this festival that announces the arrival of spring in Nikko. The main attraction includes a parade of 11 floats called hana-yatai, decorated with spring flowers. These make a tour of the Tosho-gu amid festival music. On May 17th, the Tosho-gu shrine holds the yabusame ritual. 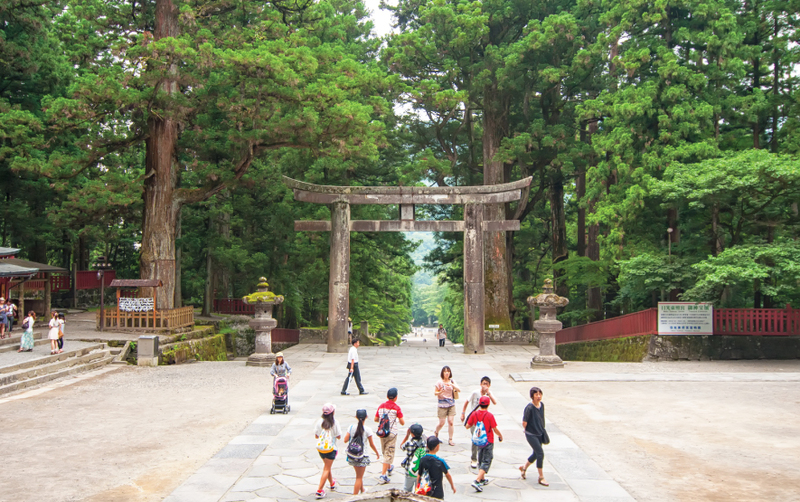 This is one of the biggest events in Nikko. You can view archers showing their prowess on horseback and shooting arrows on horseback too. On May 18th, the city hosts a procession—Hyakumono-Zoroe Sennin Gyoretsu—featuring around 1000 men dressed in samurai warrior outfits. They reproduce the scene where Ieyasu’s grave was moved from Mount Kunousan to Nikko. 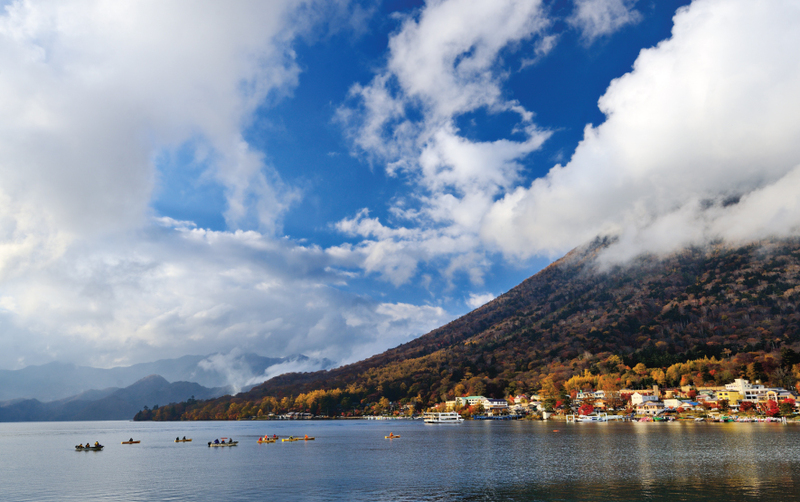 If you travel around 20km west of Nikko, you’ll come across the serene Lake Chuzenji, a caldera lake high up in the mountains. At an altitude of over 1200m, it provides cool breeze even on the hottest days. Even better than the breeze may be the spectacular mountain scenery, with cherry blossoms brightening the skyline in springtime, autumn leaves blazing bright colours in the fall, and the imposing Mt. Nantai in the background. 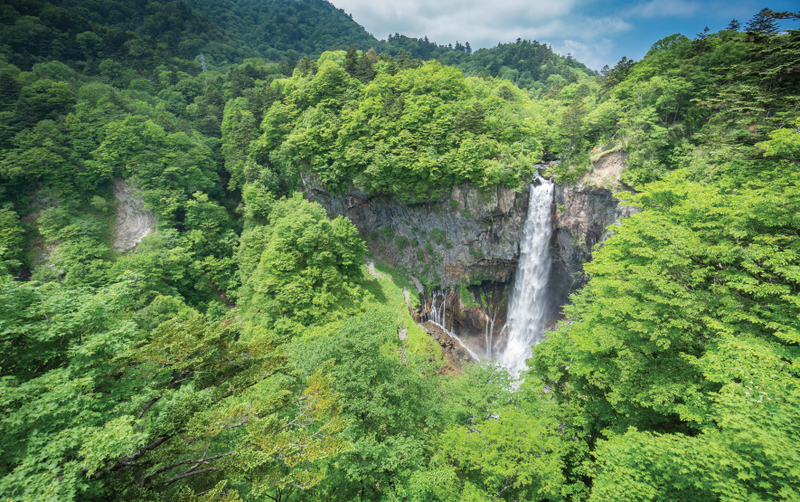 The waters of Lake Chuzenji flow into the spectacular 100m tall Kegon Waterfall. This is ranked as one of Japan’s three most beautiful waterfalls. It is a popular spot for koyo viewing from mid to late October. The waterfall takes on a surreal appeal when its waters completely freeze in winter. Come to Nikko, taking time, so you can explore its spiritual side, its natural beauty, and its myriad other interesting activities. If you are planning a trip to Nikko in Japan, do not hesitate to contact your luxury travel designer Mr. Isao Numano.